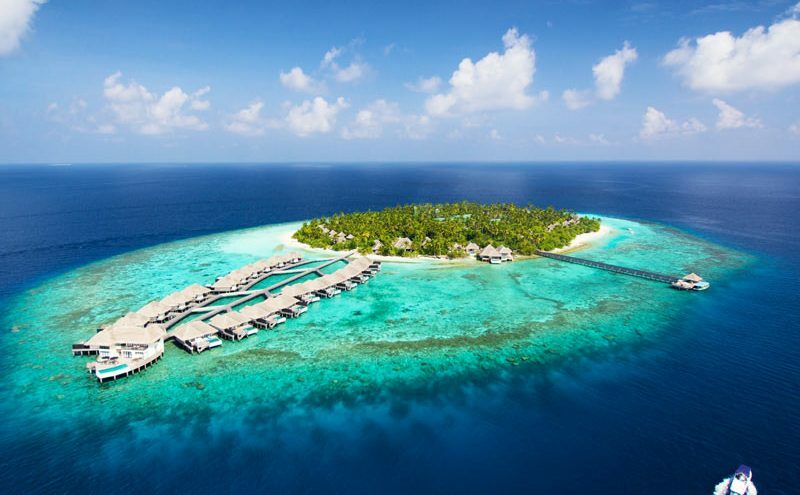 On a lush island encircled by a white-sand beach, this luxe resort with views of the Laccadive Sea is accessible by private yacht from Kaadedhdhoo Airport. Chic beach or overwater villas feature plunge pools, plus Wi-Fi access, flat-screens and minibars. All provide tea and coffeemakers, and sitting areas with sofas; some have kitchens and 2nd bedrooms. A 3-bedroom villa has an infinity pool. Butler service and in-room dining are available. Breakfast is free. Other amenities include 3 restaurant/bars, along with a spa, a gym, an outdoor pool and a kids’ pool. Yoga and water sports are offered. There’s also a kids’ club and a playground.